Spring is Here - Come see Us Open Daily! 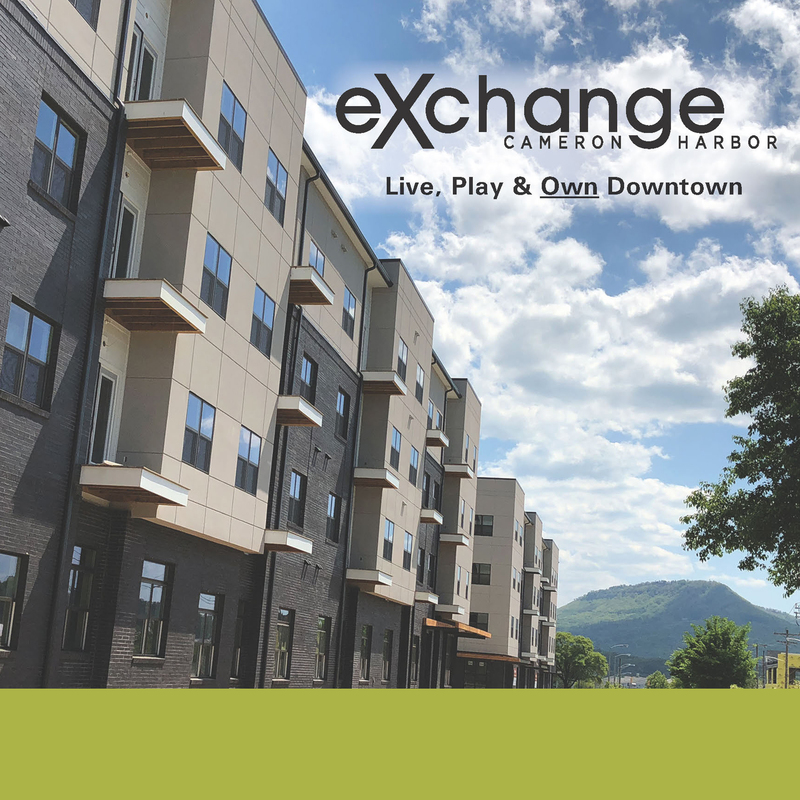 Project Overview: Exchange at Cameron Harbor is the first new condominium development for sale in the City Center District of Downtown Chattanooga in recent years. Location: 782 and 804 Riverfront Parkway – adjacent to Chattanooga Whiskey and part of the Cameron Harbor development in Downtown Chattanooga in the Riverfront District. Price Point: $159,000 to $375,000. Efficiency/Studio, One and Two Bedrooms. Two buildings. South Building has 30 Units. This building will have written into its HOA – permission for owner to do Short Term Vacation Rental (STVR). This opens this market to companies who would like a company condo and ability to have income stream when not in use, second weekend home with income stream, second home with income stream for out of town parents of students attending school or college in Chattanooga. The North Building has 82 condos. 20 of these will come with a lease permit. (first come, first served) and the leased units must be leased (cannot be occupied by an owner holding the permit) and lease must be for a year. Amenities – pool, clubroom, fitness center, doggie spa, outdoor living area with grill and pavilion with flat screen. HOA – 22 cents per square foot. Pets are allowed (with limitations). Parking – Onsite parking with approximately 156 spaces this is adequate parking for the buildings.